Do you still have questions after watching the instruction video? Then look if you can find your question below or in the search box (upper right). If you want to know more, you can contact a MIR-Method coach. Click on the questions below to read the answer to your question. Click AGAIN to close the question. How long do I need to do the MIR-Method? It is best to do it at least for 4 weeks, twice a day. If you still have complaints after 4 weeks, just continu using the MIR-Method, twice a day. Just as long as you need it. If you have stopped using the MIR-Method, you can always pick it up again later in your life. That is no problem. Just pick it up again. Even if you forget it for more than one day, it is no problem. Please print the 9 steps and put them in several places (bed, bathroom, kitchen, car, at work, wallet, etc.) so you will remind yourself to do the 9 steps. To help you, you can also apply for the guidance emails. Register for them at the home page. .
You do the MIR-Method 2x a day. It doesn’t matter when you do it. You can do it in the morning and at night.You can also do it two times straight one after another. When you get tired from doing the MIR-Method, you do it 2x at night in bed, so you can go to sleep straight afterwards. If the MIR-Method gives you lots of energy, then do the MIR-Method in the morning and in the afternoon, but not at night. Yes, you can. Some people notice that their body is responding strongly. Then these people go back to doing the MIR-Methode only 1x a day so the body can take it a bit easier. For people that are severely ill, very sensitive or just doubt whether they can handle the MIR-Method, it is wise to start with only step 5 and 7. You stroke 2x a day the steps ‘Supplement shortages’ 3x and ‘Fulfill basic needs’ 3x, during 2 weeks. With that you first supplement everything that you lack. This gives you a firm basis to start doing the MIR-Method. After these 2 weeks, you continu with doing all 9 steps. You do these for at least 4 weeks. In the you can see and hear Mireille explain about step 5 and 7. No, a lot of people stroke and say the words without really listening to them actively anymore. That is normal. It is even the intention for this to happen, because it is important to bypass consciously thinking about it. This happens when you stroke your hand. The active part of your brain relaxes, giving you access to the subconscious part. You seem to step aside and are no longer actively involved with the words. And that is exactly what is supposed to happen! Can you also stroke on the inside of your hand? Do I have to say the 9 steps out loud, or can I say them in my mind? No, you always need to do all 9 steps. The 9 steps of the MIR-Method all work together. If you leave out some steps, you may even create physical complaints! The only exception is step 5 and 7. You can do those two steps first for 2 weeks, preceding the 9 steps. Look for more explanation at question 1G. How soon can you expect responses from your body when you start doing the MIR-Method? Only 10% of the people notice stronger responses in their bodies. They have a lot of toxicity in their body or need to work through very strong and deep emotions. Make sure you drink extra water when you use the MIR-Method to help your body clean itself. If you find the reactions to the MIR-Method very strong, consult your doctor and contact a MIR-Method coach. MIR-Method coaches use muscle testing to find out what is the cause of the complaints and they will help you get through it much quicker. contact a MIR-Method coach that is on this website. As mentioned before: if it is too much for you, it is always wise to consult your doctor, dentist or specialist and to also make an appointment with a MIR-Method coach. Yes, that is normal. It can be that you have been exhausting yourself for years and that your body is making you feel that now. Just continu using the MIR-Method and listen to you body. If it asks for rest, then give it rest! d.) A number of people don’t notice anything. They could contact a MIR-Method coach to find out what is going on. Can I do the MIR-Method for someone else? I have a disease, can I do the MIR-Method? I am under supervision of a specialist. Is it wise to start doing the MIR-Method? Yes, that is possible. Start with only steps 5 and 7, see question 1G. It is advisable to consult your specialist that you want to do the MIR-Method. You must remain under supervision of your specialist. Next to that you can make an appointment with a MIR-Method coach to find out, using muscle testing, what are the biggest blockages that hinder your health. If you respond very sensitively, or if you are high-sensitive, then take that seriously, also with doing the MIR-Method. Start carefully, with only step 5 and 7. See question 1G for more explanation. Can I use the MIR-Method if I am receiving chemo therapy? Yes, you can use the MIR-Method at all times. If you are severely ill at the moment you start doing the MIR-Method it is always good to start with only step 5 and 7, see also question 1G. Maintaining contact with your doctor or specialist remains always necessary. Next to that, make an appointment with a MIR-Method coach. 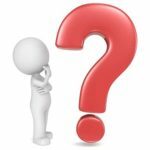 Can I use the MIR-Method when I am receiving hormone therapy, considering step 6 of the MIR-Method? Yes, you may always use the MIR-Method. It will always cooperate with your medical treatments. You can always start carefully with step 5 and 7, see question 1G. Maintaining contact with your doctor or specialist remains always necessary. Next to that, make an appointment with a MIR-Method coach. I use medication or need anaesthetics. Can I use the MIR-Method, considering step 2 Detox all toxicity? Yes, you can do the MIR-Method. You can always start carefully with step 5 and 7, see question 1G. Maintaining contact with your doctor or specialist remains always necessary. Next to that, make an appointment with a MIR-Method coach. Yes, you can. It is even better to start using the MIR-Method before the operation, so that your body can be in better condition before the surgery. Are you severely ill or weakened, then start by doing only step 5 and 7, see question 1G. After the surgery the MIR-Method can help you detox the toxicity and help you to recover from the surgery. Yes, you can. To start before pregnancy is good, because then your balance is better when the actual pregnancy is there. When you are already pregnant, congratulations!, it is wonderful to keep on balancing yourself. This is even beneficial for your unborn child. When you are already pregnant, then start with only step 5 and 7, see question 1G, for 2 weeks. Once the baby is born, you can just continu using the MIR-Method, if you want. For the baby you can also use the 9 steps, if something physical or emotional is bothering the child. ‘Overcoming your addiction with the MIR-Method’ For extra guidance, contact a MIR-Method coach. Before you treat your animal, you must first have done the MIR-Method yourself for 4 weeks. To treat your animal, you stroke the animal on the back, while saying the 9 steps. If your animals walks away, it is a sign it doesn’t want you to treat it, or that it is enough or that the energy doesn’t feel good for the animal. Respect that and try to treat your animal again at another day. Most animals love being treated with the MIR-Method and will start to relax intensely. All 9 steps are used with animals. Step 3, ‘Father’ and ‘Mother’ are referring to its natural parents, but also to the humans that take care of the animal. Animals may alsof have a mission! (step 9, Clarify Mission). Look at question 5d. for treating at a distance. Where can I find all information about the MIR-Method? At this website of the MIR-Method you will find lots of extra information. You can watch the instruction video or one of the other videos. 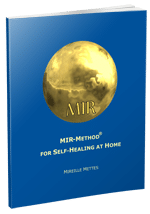 In the book that Mireille Mettes wrote: Mental and Intuitive Reset, she explains how the MIR-Method works in great detail. You can download the 9 steps from the website and hang them everywhere in your house. I would like to publish an article about the MIR-Method, can I do that? Yes, you can reach us through the website for what magazine you would like to write an article. Please use the contact form at‘Contact’. We will then contact you to work together. Thank you! I would like to publish the MIR-Method on my website. Do you have a text for that? Yes, we have a standard text about the MIR-Method you can publish on your website. Go to ‘Contact’ and fill in at the contact form you want to receive the ‘landing page’ of the MIR-Method. I can’t find the MIR-Method for kids, babies and young adults on the website. The MIR-Method for kids, babies and young adults are all replaced by the 9 steps. The reason is that all the work really should be done by the adults. Once the adults are letting go of their issues, the babies, children and young ones will relax. If a child really has health issues, then it MUST do the 9 steps and not any of the other versions. When you still have questions that have not been answered here, send your question to one of the MIR-Method coaches.